The MetPak Professional Weather Stations offer excellent measurement accuracy and performance even in harsh or marine environments. Three models are available; MetPak, MetPak Pro, and MetPak RG. User-friendly configuration and display software is included with each system. The MetPak Professional Weather Stations utilize Gill WindSonic ultrasonic technology, a highly accurate barometric pressure sensor, and a Rotronic Hygroclip HC2-S3-GI temperature/humidity probe. The design allows measurements to be as accurate as possible without influencing other measured parameters yet provides a compact, reference quality system. It is especially suitable for harsh or marine environments and is supplied with selectable ASCII, NMEA, SDI-12, and Modbus outputs. 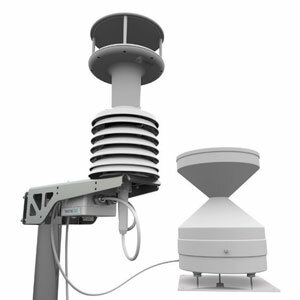 The MetPak Base Station is capable of monitoring barometric pressure, air temperature, humidity and dew point. The unit features an on-board high accuracy barometric pressure sensor and a Rotronic Hygroclip HC2-S3 temperature/humidity probe housed in a naturally aspirated radiation shield. 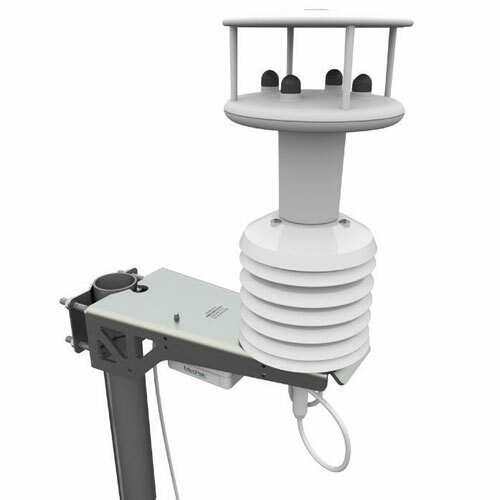 The MetPak with Integrated WindSonic all-in-one variant of the MetPak features the same on-board sensors as the Base Station, with an integrated WindSonic ultrasonic wind sensor for high accuracy wind speed and direction measurement. The MetPak Pro Base Station features an on-board barometric pressure sensor and Rotronic Hygroclip temperature/humidity probe. A Pt100 temperature sensor, tipping bucket rain gauge, and two analogue sensors (water level sensor, pyranometer, pressure sensor, soil temperature sensor, etc.) can also be connected directly to the Base station or via an optional junction box. The MetPak Pro with Integrated WindSonic variant of the MetPak Pro features the same on-board sensors as the Base Station, with an integrated WindSonic ultrasonic wind sensor for high accuracy wind speed and direction measurement. This unit also features inputs for up to four external measurement devices including a precision tipping bucket rain gauge. 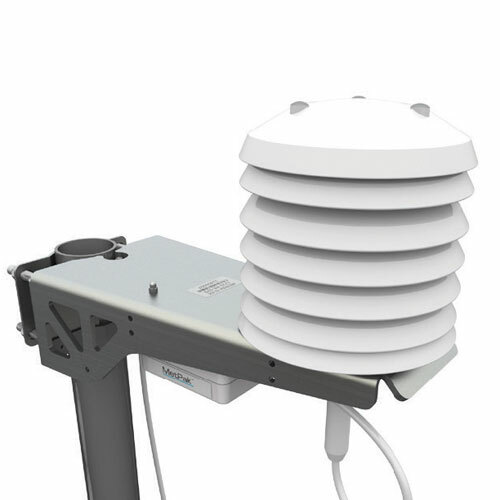 The MetPak RG Base Station features an on-board barometric pressure sensor and Rotronic Hygroclip temperature/humidity probe, with an additional input for a tipping bucket rain gauge. The MetPak RG with Integrated WindSonic and Rain Gauge variant of the MetPak RG features the same on-board sensors as the Base Station, with the addition of an integrated WindSonic ultrasonic wind sensor for wind speed and direction measurement, and tipping bucket rain gauge for precipitation measurement. These specifications are for the unconfigured MetPak only.